Complexion Perfection. This breakout ex-ing gel combines exfoliating salicylic acid and soothing oat kernel to battle blemishes without the burn. Treat utilizes the prescription grade Salicylic Acid (2.0%) to effectively treat blemishes and clear skin. 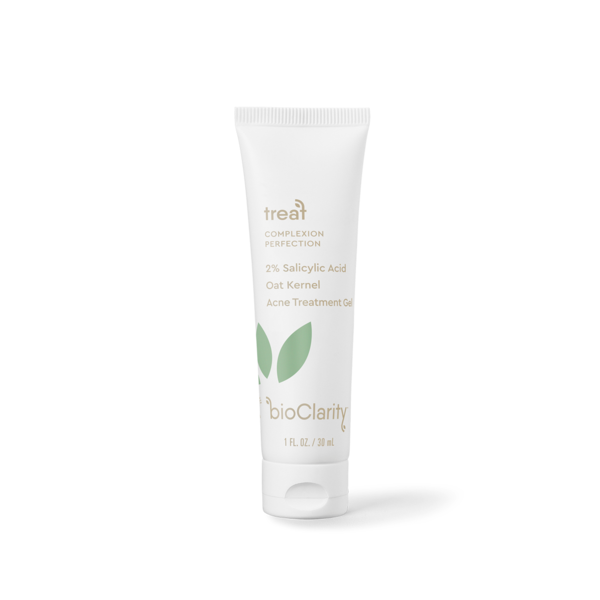 This exfoliating gel clears pores of oil, dirt and bacteria to reduce acne and prevent future breakouts. Natural Oat Kernel extract and powerful moisturizers hydrate the skin and address common side effects.